Gionee Steel 2 Smartphone was launched in January 2017. The Gionee Steel 2 is powered by quad-core MediaTek MT6737 processor and it comes with 3GB of RAM. The phone packs 16GB of internal storage that can be expanded up to 128GB via a microSD card. As far as the cameras are concerned, the Gionee Steel 2 packs an 8-megapixel primary camera on the rear and a 5-megapixel front shooter for selfies. 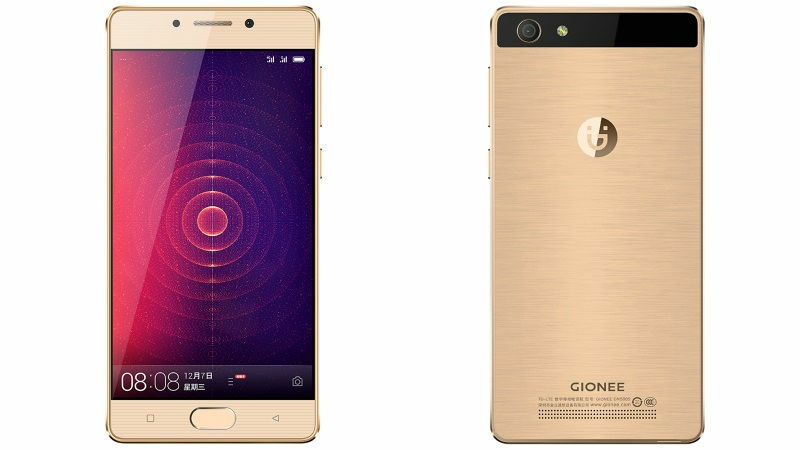 The Gionee Steel 2 flaunts a 5-inch IPS LCD HD (720 x 1,280 pixels) display and boots on Android v6.0 (Marshmallow) operating system. Under the hood, there is a 1.3GHz quad-core processor coupled by 3GB of RAM and Mali-T720 MP2 graphics engine. The user can lock/ unlock the phone and apps via fingerprint sensor present at the front. The handset is fuelled by a 4,000mAh li-polymer battery which keeps the show running for long hours. On the connectivity ground, the phone has options such as dual SIM, 4G (supports Indian bands), 3G, 2G, Wi-Fi 802.11, b/g/n, mobile hotspot, Bluetooth v4.0, GPS with A-GPS and microUSB 2.0. The Gionee Steel 2 runs Android 6.0 and is powered by a 4000mAh non removable battery. It measures 144.30 x 70.50 x 8.60 (height x width x thickness) and weigh 160.00 grams. The Gionee Steel 2 is the perfect handset which you are looking for. Gionee Steel 2 only looks nice from outside but has good set up inside for multitasking and games. The user can also enjoy VoLTE connectivity and there is also a fingerprint sensor present which is quick to respond. However, a full HD display was clearly expected in this budget.